English: Brown-throated sunbird, gray-throated sunbird; French: Souimanga á gorge brune; German: BraunkehlNektarvogel; Spanish: Nectarina de Garganta Descolorida. 5.5 in (14 cm); 0.26-0.48 oz (7.4-13.5 g). Metallic green from head to back with dark brown cheek, throat, and wings; purplish tail and yellow underparts. Two main groups of subspecies. 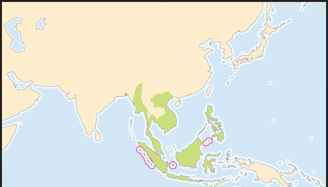 The malacensis group includes 15 subspecies occurring in various islands of the west and southwest Philippines, Borneo, the Celebes, Myanmar, Indochina, the Malay Peninsula, Thailand, and Indonesia. The gri-seigularis group includes two subspecies found in the eastern and northern Philippines. Forest, woodland, mangroves, bamboos, coastal vegetation, swamps, coconut groves, and gardens from sea level up to 3,900 ft (1,200 m). Aggressive toward other small birds. Often in low bushes but feeds at all heights, sometimes in large groups or in mixed-species parties. Feeds on nectar of citrus, mistletoes, and other flowers. Also takes fruits, insects, and spiders. Males sing from prominent perches. 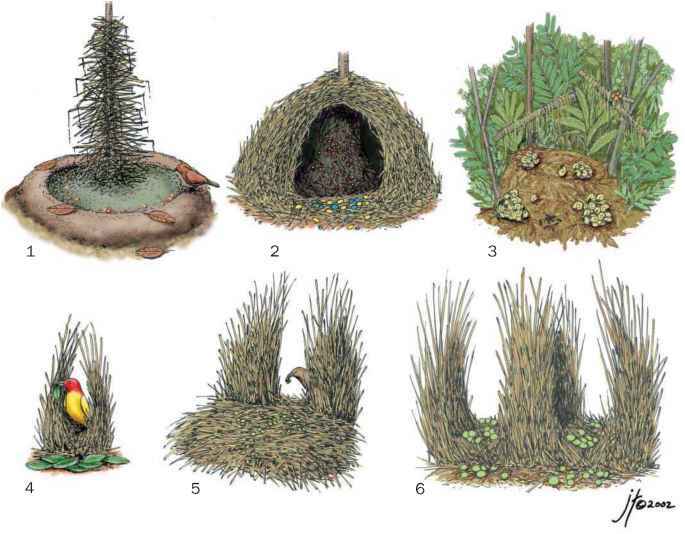 Two eggs laid in pear-shaped nest suspended 3.3-42.6 ft (1-13 m) up, made of grass, plant fibers, and cobwebs. Slivers of bark on outside, lined with tree-cotton or moss. Young fledge two weeks after hatching.